Interesting one, a home cooker here with the mince, ham joint and other bits that need preparation. 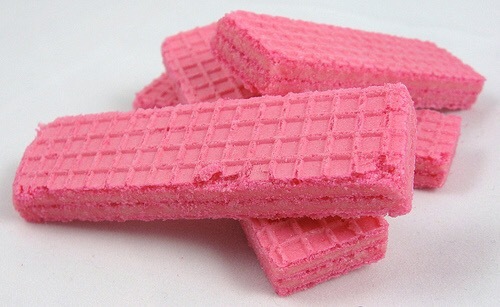 Any ideas what a pink biscuit is? 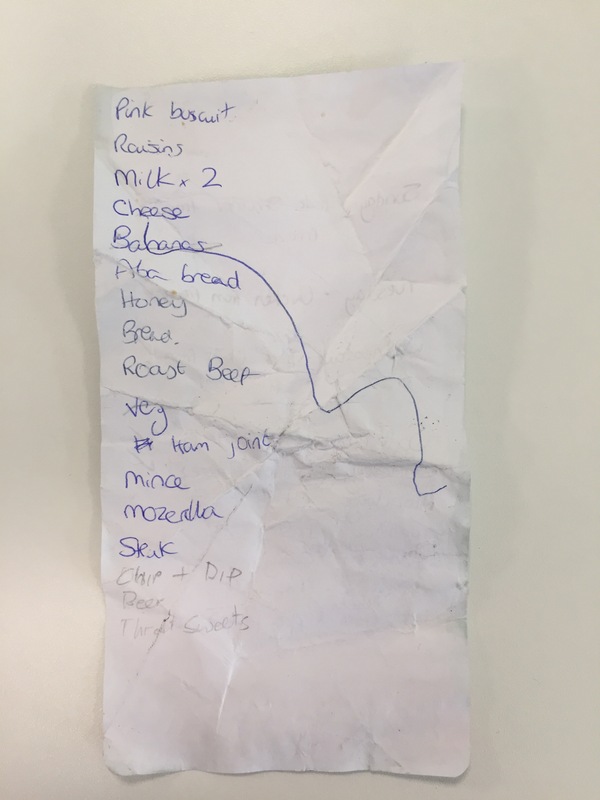 Pink biscuit, raisins, milk x 2, cheese, bananas, Aba bread?, honey, roast beef, veg, ham joint, mince, mozzarella, srut?, chip and dip, beer, throat sweets.